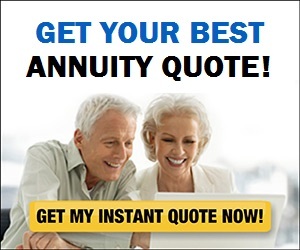 Real Deal Retirement » Blog Archive » Is An Annuity A Good Way To Boost Retirement Income? 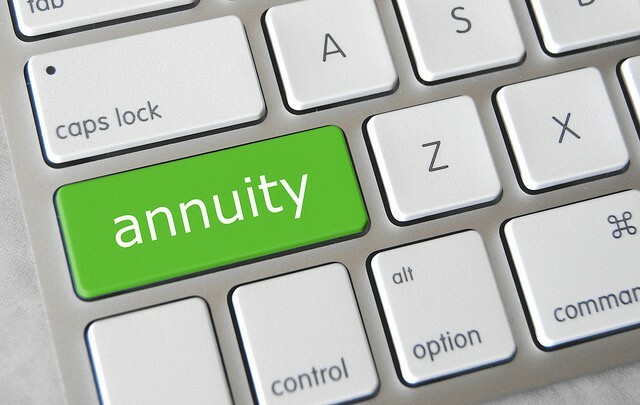 Is an annuity is a good way for seniors to increase their income in retirement? The short answer is yes, an annuity can be a good way to safely get more income out of your retirement nest egg. But that doesn’t necessarily mean you should own one. And even if you think you should, there are number of things you need to keep in mind before you consider buying an annuity, starting with what type makes the most sense for your situation. For example, I find that the annuities typically peddled by people who sell them for a living—fixed index annuities and variable annuities—often come with onerous expenses and lofty fees that can drag down their returns and reduce the size of their payouts. As if that’s not bad enough, such annuities tend to be exceedingly complicated, making it difficult for anyone who’s not a financial savant to understand how they work and how they’ll perform. But there’s one type of annuity that can deliver the unique benefit only an annuity can offer—guaranteed income you can’t outlive—but is also relatively easy to comprehend. I’m talking about an immediate annuity. The concept is simple: You hand over a portion of your savings to an insurer and in return receive a fixed monthly payment no matter how long you live and regardless of how the financial markets perform. Today, for example, a 65-year-old man investing $100,000 in an immediate annuity would get about $550 a month for life, a 65-year-old woman would receive about $525 and a 65-year-old male-female couple would collect about $470 a month as long as either one is still living. You can see how much you might collect at different ages for different amounts invested by going to this annuity payment calculator. But, you may ask, couldn’t you draw the same monthly amount, if not more, from that hundred grand by forgoing the annuity and just investing the money on your own? The answer: not likely. The reason is that some annuity owners will die before others, which allows insurers to essentially transfer the payments that would have gone to those who die sooner to those who live longer. And, indeed, insurers factor this transfer of money—known as “mortality credits“—into their annuity payout rates. Thus the annuity payment you receive includes not just investment gains and the return of your original principal, but these mortality credits as well. You can’t get mortality credits, or this extra source of income, from other investments; only an annuity that pools money from many investors can generate them. Which means that it’s highly unlikely that you could match an annuity’s lifetime payments on your own, or even by hiring a pro to invest your money. You could, of course, try to match or exceed an annuity’s payments by taking on more investing risk in an attempt to boost your return. But such a plan could easily backfire. If the market goes into a tailspin, you could suffer big losses and run out of money while you’ve still got a lot of living to do. That said, mortality credits and the higher payments that result from them aren’t a free lunch. When you invest your money in an immediate annuity, you give up access to it in return for that guaranteed stream of lifetime payments. So if you end up being one of the annuity owners who dies sooner rather than later, you’ll have given up a substantial sum of money for what could be a relatively small number of payments. Or, to put it another way, you’ll be the one funding those mortality credits for your fellow annuity owners who live a long life. For that reason, it would make little sense to buy an annuity if you have good reason to believe you’ll die before you reach life expectancy for someone your age (although an annuity could still make sense if you have a healthy spouse or partner who would like to collect guaranteed lifetime income after you’re gone). But the point is that if you want to turn a portion of your nest egg into a higher level of income than you could draw by investing it on your own—and have the peace of mind that comes from knowing you’ll collect that income no matter how long you live—an immediate annuity is worth considering. Even if you think an immediate annuity might be right for you, however, there are a few other issues you need to weigh before signing up for one. For example, since you’re giving up access to the money you devote to an immediate annuity, you wouldn’t want to invest all, or even most, of your nest egg in one. You’d want to make sure you still have plenty of money left in traditional investments, like stock and bond mutual funds, that can serve as a stash for emergencies and unexpected expenses. Although many experts are predicting lower investment returns in the years ahead, a diversified portfolio of stock and bond funds can still provide long-term capital growth to help you maintain purchasing power in the face of inflation. And if you plan on leaving a legacy to heirs, you’d also want to keep that money separate from anything you invest in an annuity. Finally, you’ll also want to remember that you’ll already have one annuity in retirement—Social Security. So before you commit dollars to another one, make sure that you really need it. If Social Security provides enough income to meet all or nearly all of your basic living expenses, you may be able to forgo an annuity and just rely on withdrawals from your retirement savings as needed for emergencies and any extra expenses that may pop up. For that matter, you may also be able to get by without an annuity if your portfolio is so large that your chances of running through it during your lifetime are minimal. To see how long your nest egg is likely to last given different withdrawal rates, you can go to this retirement income calculator. Walter Updegrave is the editor of RealDealRetirement.com. If you have a question on retirement or investing that you would like Walter to answer online, send it to him at walter@realdealretirement.com. Follow Walter on Twitter at @RealDealRetire.